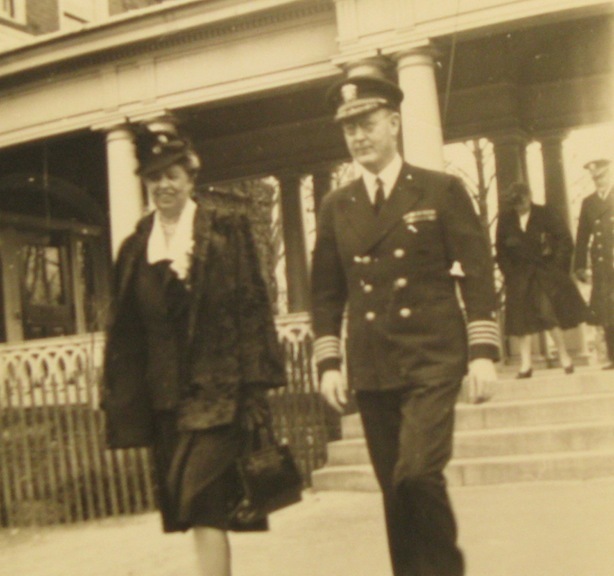 Eleanor Roosevelt was a staunch ally of the WAVES, both advocating for women to be in the military at the same rank and pay as men, and visiting WAVES stations from time to time. This is a visit to the officer training at Smith College in Northampton, MA. The photograph comes from the Schlesinger Library at the Radcliffe Institute for Advanced Studies, Harvard University.